Coal Creative is proud to announce that in 2019 we are officially members of the Family Business Alliance. 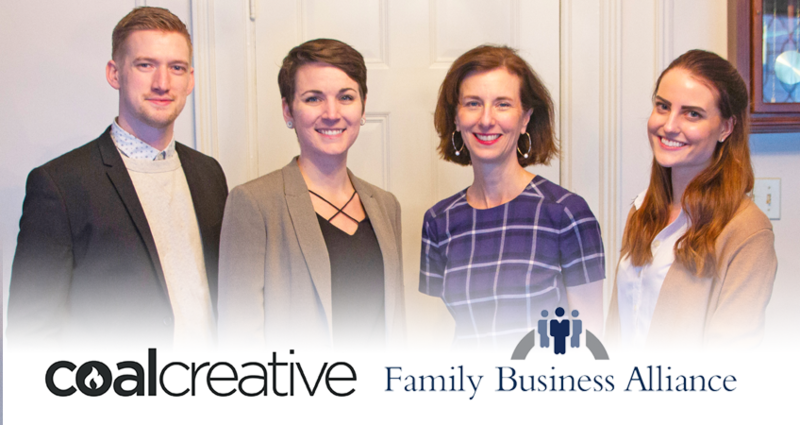 With family businesses at the forefront in Northeastern Pennsylvania, we are excited to be able to provide resources and education for family business owners and their teams of family and non-family members. We are committed to helping find solutions to the unique challenges and opportunities families face growing and continuing the legacy of their companies in our region. You can view the new Family Business Alliance website here. To kick start our new membership, we are excited to share that on Tuesday, February 19, 2019, our Director of Operations & Business Development, Holly K. Pilcavage, will be co-presenting with the President of Black Out Design, Inc, Jack Reager. 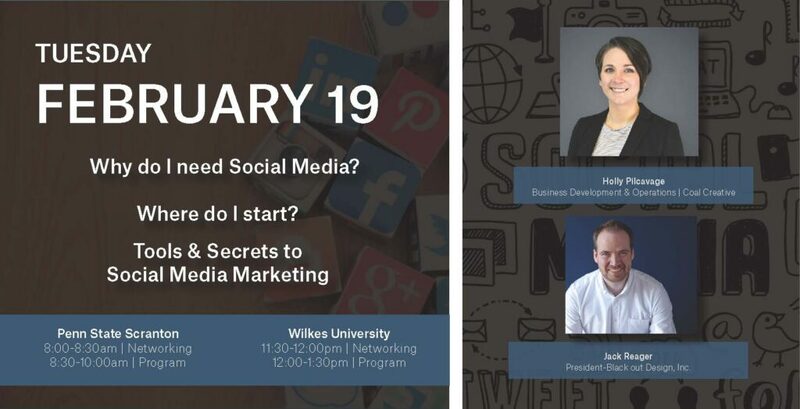 There will be two presentations on Social Media Strategies taking place at Penn State Scranton and Wilkes University. For more information and to register now, visit the FBA event page here.